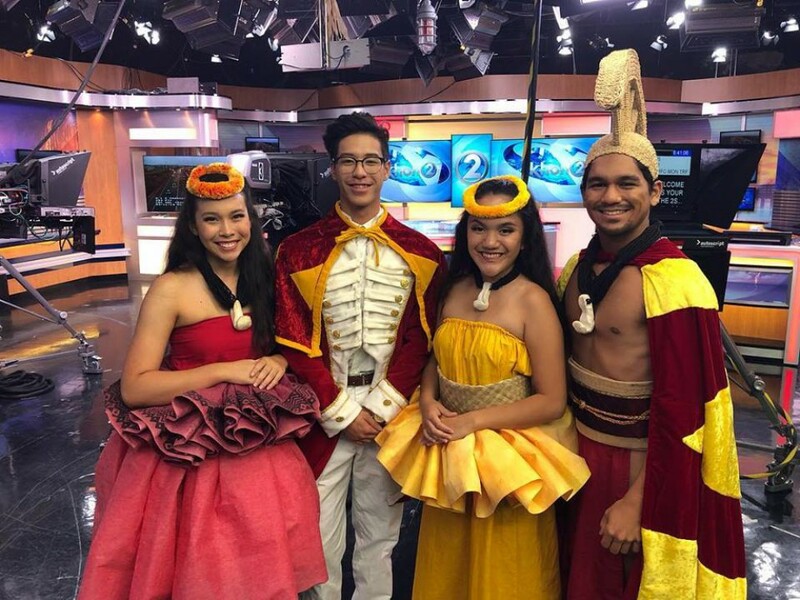 Cast members from the KS Hawaiʻi High School Hawaiian language opera “The Battle of Kuamoʻo” recently appeared on local morning news shows to promote their March 14 and 15 performances. They are: Kayla Enanoria, Jorden Kealoha-Yamanaka, Kyra Gomes, and Kyden De Sa. Pre-sale tickets can be purchased for $5 at the high school office from 2:30 p.m. to 3:30 p.m. on school days through 3/13. Tickets can also be purchased at the door on performance nights for $10. Kamehameha Schools Hawai‘i High School haumāna are staging “The Battle of Kuamoʻo,” an opera sung entirely in ‘ōlelo Hawai‘i. Proceeds from the March 14 and 15 shows will help the haumāna represent Hawaiian language, culture and moʻolelo on a global stage when they perform the opera at the world’s largest performing arts festival – Scotland’s Edinburgh Festival Fringe. The opera, written by high school Choir Director Herb Mahelona, tells the story of the conflict after the death of King Kamehameha between Kona chief Kekuaokalani – loyal to the traditional customs and religion, and Liholiho – the new king swayed by his regent mother to end the old ways to make way for the new. Through music, traditional dance and chant, the story will be told of the fate of an island nation shaped by a single battle. Read more about the show and the students' next step in telling this significant moʻolelo in the I Mua Newsroom.